WHEN YOU LOOK BEYOND THE CLOUDS . . .
when the blossom comes to life! Scattered on my weed covered bit of earth. Signs of death and decay? Perhaps, and yet . . .
And new buds and blossoms appear . . .
Or perhaps they lay in wait all along. Beyond the shadows shines the blazing sun! MONEY CANNOT BUY . . . When I got my first home, knowing nothing of gardening, I was amazed when the neglected yard suddenly, come Spring, had lilies in bloom! When I relocated some years later filled with hopes and dreams, I also faced many unexpected challenges. I still do. Come spring though, I was again surprised by lilies! I still know nothing about gardening, but I know my Savior’s redeeming love. I saw it that day in the lilies He gave to me! 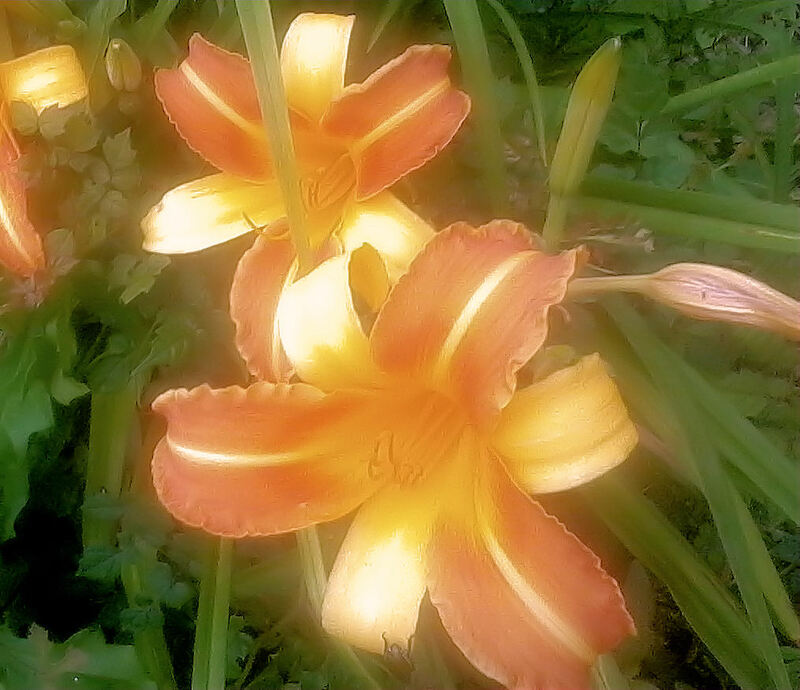 The lilies bloomed again today!